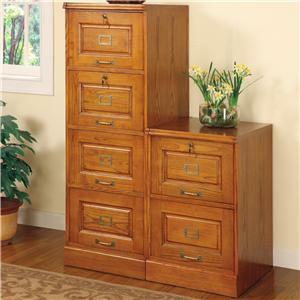 The Palmetto Oak File Cabinet with 2 Drawers by Coaster at Value City Furniture in the New Jersey, NJ, Staten Island, Hoboken area. Product availability may vary. Contact us for the most current availability on this product. Finish Hardwood solids and veneers in oak or cherry finishes. 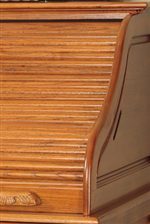 Finish & Paint Options Hardwood solids and veneers in a golden oak or warm cherry finish. Handles & Hardware Antiqued brass finish hardware. 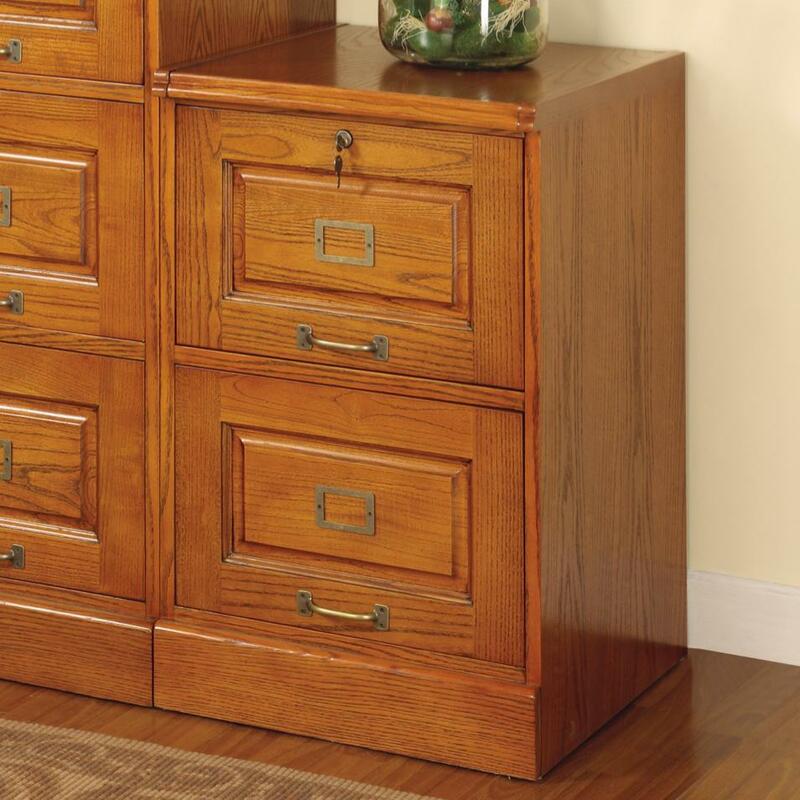 Case Detail Desks include elegant turned post legs or double pedestal bases. 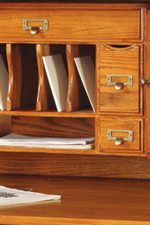 Filing Capabilities File cabinets available in two convenient sizes to suit your needs. Drawer / Shelf Construction Select pieces feature locking drawers and shelves in varying sizes for maximum storage. Description: Top Flat, simple tops provide a smooth surface for desks. Case Construction Constructed from hardwood solids and veneers with oak or cherry finishes. 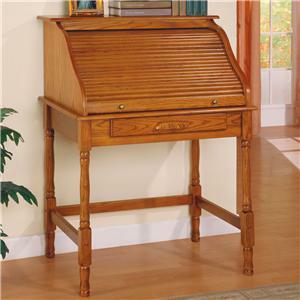 Return to a simpler era, when correspondence involved pen and paper and furniture was built to endure through the ages. The Palmetto home office collection pairs its classic inspiration with modern enhancements for a home office that has one foot firmly rooted in the traditions of yesterday and the other fully looking forward to the 21st century. The classic silhouette of a roll top characterizes the desks that comprise the collection, with an L shaped desk offering enhanced space and functionality in a slightly more modern design. Double pedestal bases, elegant turned post legs and conventional finishes speak to the traditional inspirations behind the collection, while detailed keyholes and skeleton keys lend select pieces additional antique appeal. Solid hardwoods and veneers bathed in warm cherry or golden oak hues provide a polished finish that allows each piece to blend seamlessly with existing decor. The classic shapes of cherished antiques meet modern enhancements for a delightful blend of old and new that is the Palmetto collection. 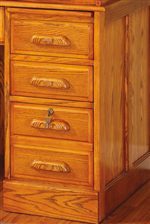 The Palmetto collection is a great option if you are looking for Traditional furniture in the New Jersey, NJ, Staten Island, Hoboken area. Browse other items in the Palmetto collection from Value City Furniture in the New Jersey, NJ, Staten Island, Hoboken area.